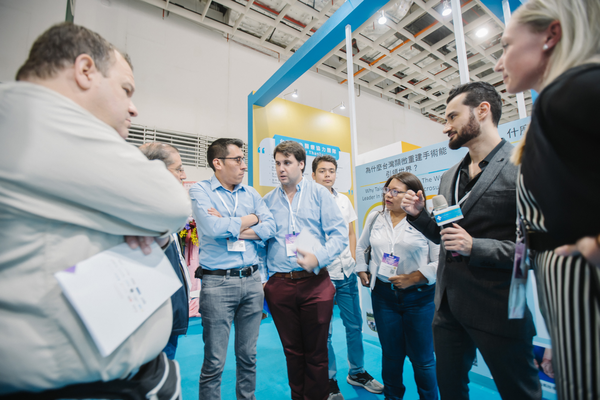 November 29, 2018. 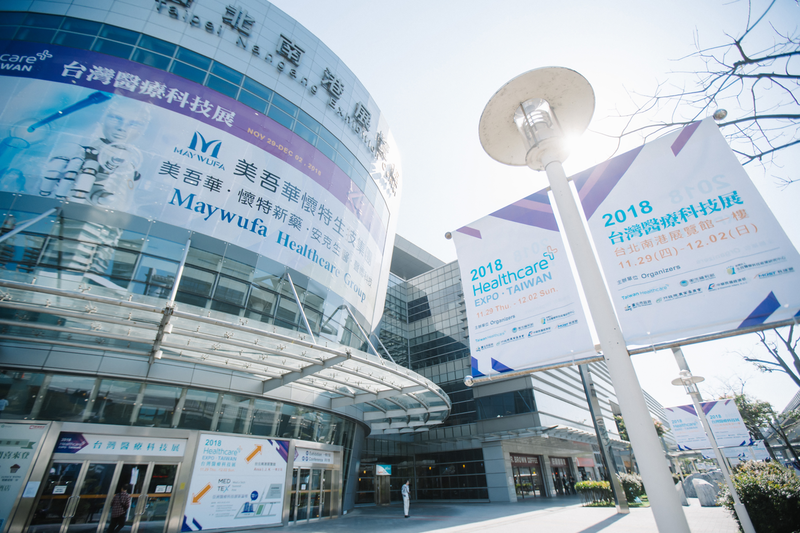 The Taiwan Healthcare+ Expo opened today at the Nankang Exhibition Center. 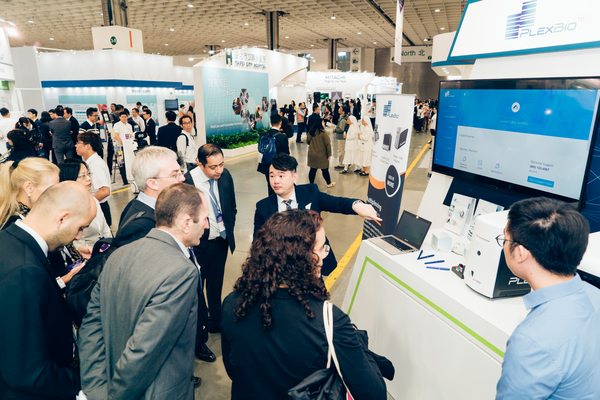 This year, over 415 hospitals and companies, as well as over 51 international companies, set up a total of 1,358 booths at the Expo. 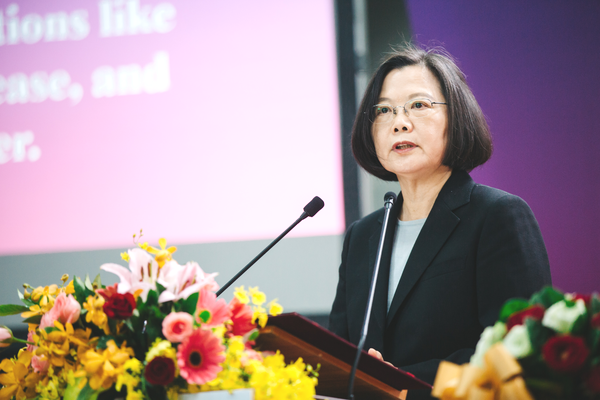 President Tsai Ing-Wen attended the opening once again and hosted the ceremonies along with IBMI Chairperson Wang Jin-Pyng, Chairperson of the Preparation Committee, President Su Jia-Chyuan of the Legislative Yuan, and Taipei Mayor Ko Wen-Je. 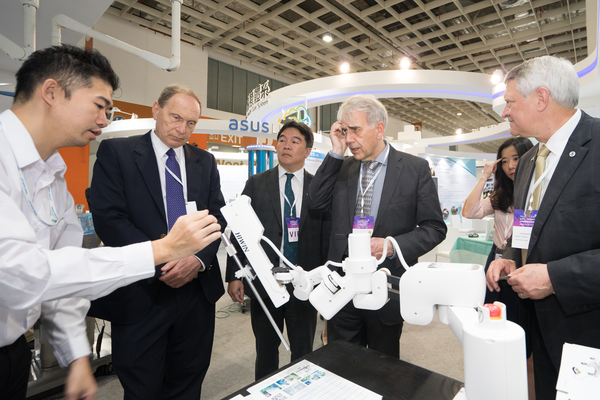 Minister of Health and Welfare Chen Shih-Chung, Minister of Science and Technology Chen Liang-Gee, and Healthcare Promotion Committee Convener Chen Wei-Chao were also present at the opening. 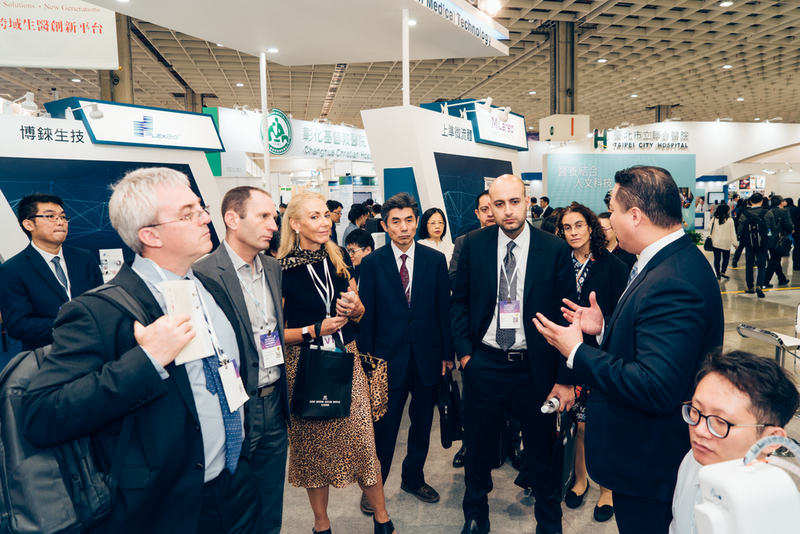 What's special about this year was that 35 leaders in the international medical technology industry were present at the opening, along with 16 international delegations including the Federation of Thai Industries; Association of Thai Private Hospitals, Malaysian Bioeconomy Development Corporation, Thailand's Association of Cell Therapy, Indonesia's International Pharmaceutical Manufacturer Group, Philippine Orthopaedics Association, Australia's Medical Software Industry Association, China Pharmaceutical Innovation and Research Development Association, Hong Kong Bio-med Innotech Association, and delegations consisting of medical institutions from China, Singapore, Israel, and Vietnam. 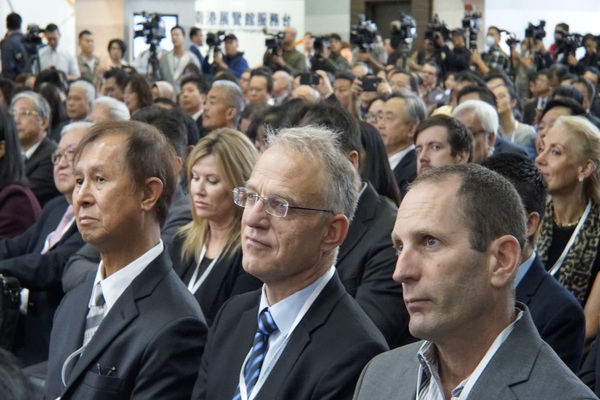 These delegations also took this opportunity to arrange business meetings with local organizations. 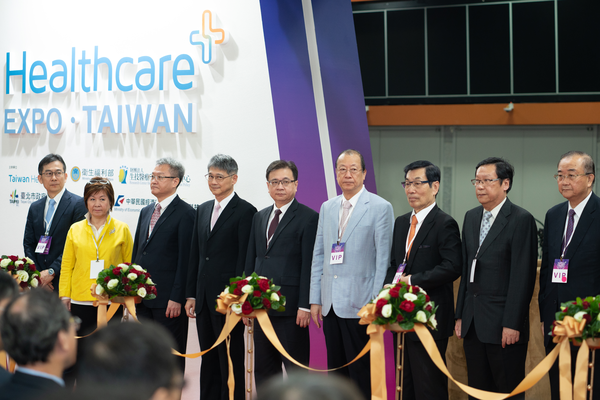 During the opening ceremony, the President and distinguished guests launched the Expo by cutting the ribbon and announcing the beginning of the 2018 Taiwan Healthcare+ Expo. 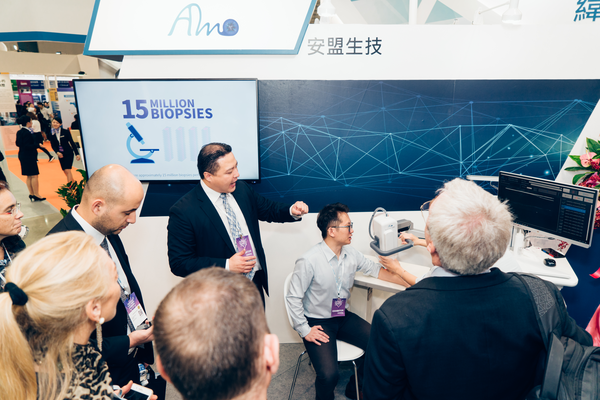 Expo founder Jinping Wang said, we have invited the world's elite to gather with the top medical institutions, businesses, and innovative technology groups to stimulate discussions with an international perspective and spark collaborations. 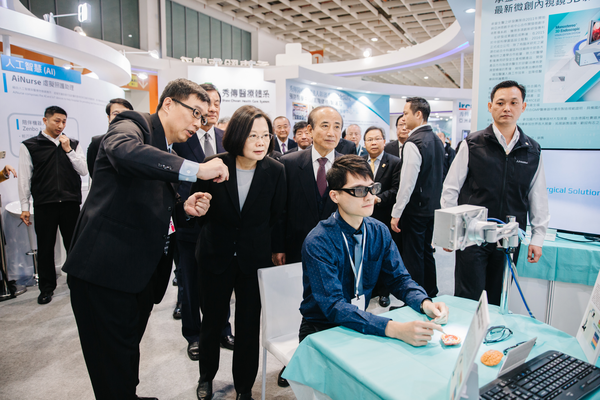 President Tsai Ing-wen has also emphasized that Taiwan is the best place to develop the healthcare technology industries, the expo is an important event, a collective effort by Taiwan’s healthcare sector that integrates our industrial, government, and academic capabilities. 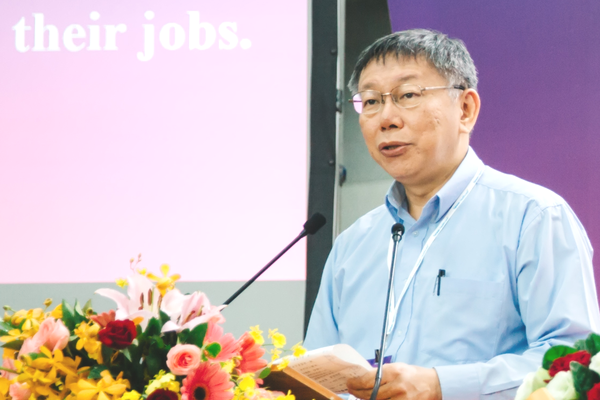 The Expo chairman Su Jia-chyuan said that it's the first time the government, medical industry, commercial industry, and private organizations have come together and orchestrated this grand expo. 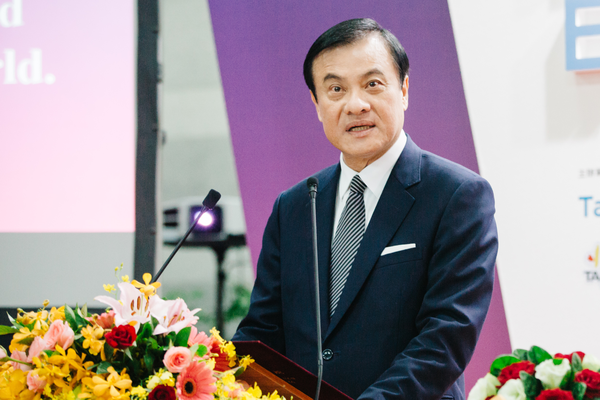 Taiwan's Minister of Health and Welfare Chen Shih-chung said that we will continue to provide the best platform to facilitate collaboration for all parties by maintaining both the Taiwan Healthcare+ online portal and the international Taiwan Healthcare+ Expo. 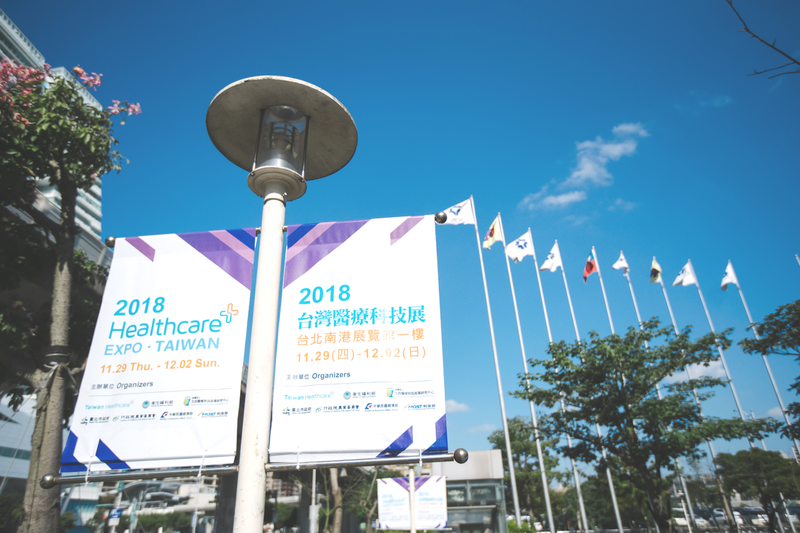 Taipei Mayor Ko Wen-je said Taiwan Healthcare+ Expo is a demonstration of the fruits of more than two decades of work and dedication by the healthcare industry in Taiwan. 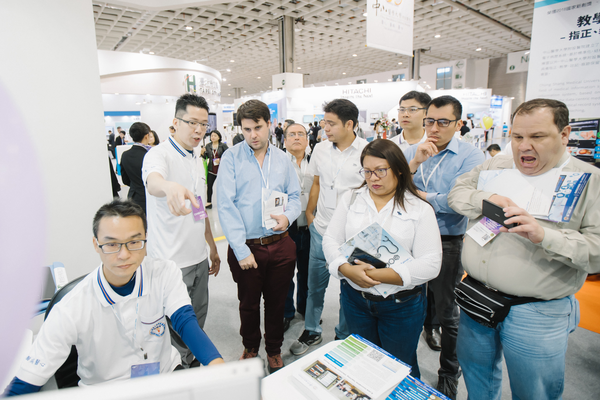 I am truly proud of Taiwan healthcare, and I hope citizens of Taiwan can come to the Expo and learn about medical technology solutions and the latest technologies, Ko said. 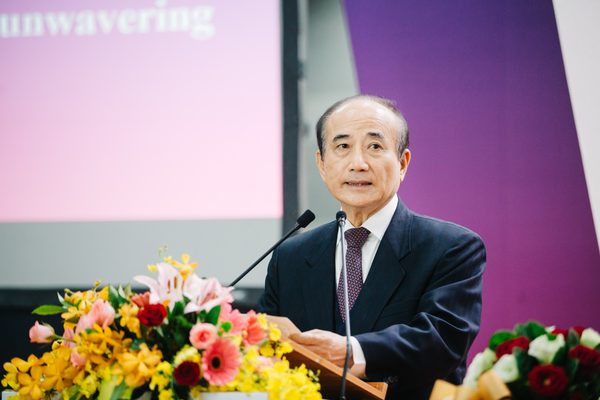 Opening and Ribbon cutting ceremony Celebrated. 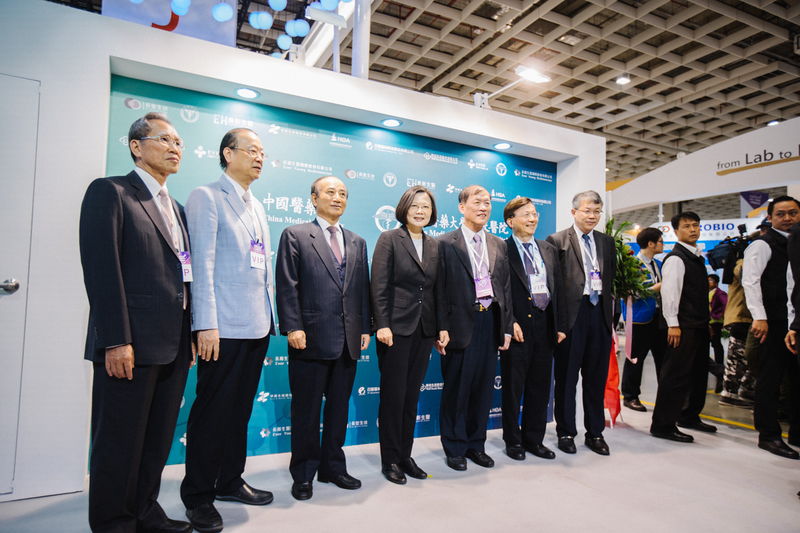 Left to right front row: Ko Wen-je(Mayor of Taipei), Chen Shih-chung (Minister of Health and Welfare), Wang Jin-pyng (Chairman of R.B.M.P. 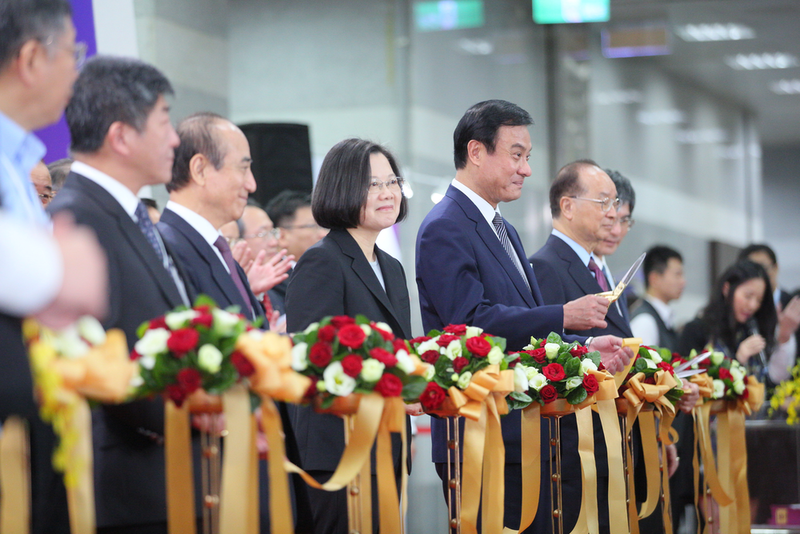 ), Tsai Ing-wen (Taiwan President), Su Jia-chyuan (President of the Legislative Yuan/Expo chairman), Chen Wei-Zhao (I.B.M.I. 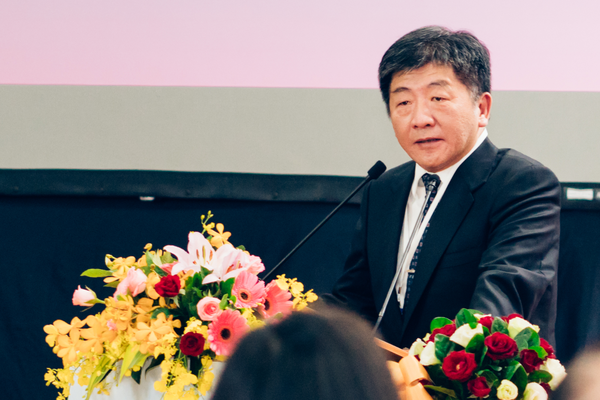 of Honorary President) and, Chen Liang-Gee (Minister of MOST). 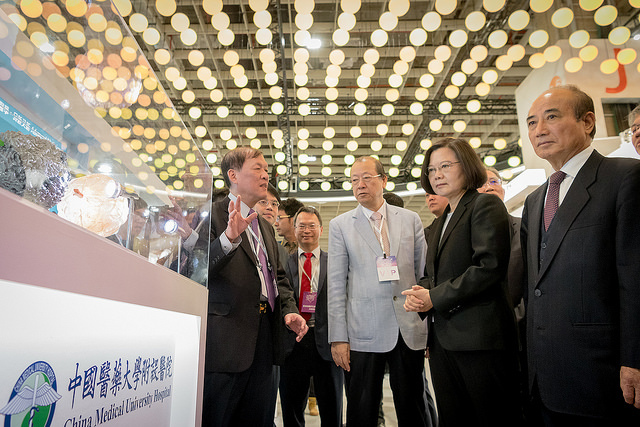 Left to right second row: Lai Chi-Chun (Vice Supertendent of Linkou Chang Gung Memorial Hospital),Chang Yu-Mei (Chairwoman of Ten-Chen Medical Group), Huang Chien-Ning (Superintendent of Chung Shan Medical University Hospital), Ho Hong-Nerng (Superintendent of National Taiwan University Hospital), Lin Chien-Huang (President of Taipei Medical University), Tsai Chang-Hai (Chairman of China Medical University), Wei Fu-Chan (Professor of Linkou Chang Gung Memorial Hospital), Yeh Yung-Shiang (Vice President of Show Chwan Memorial Hospital), Hou Sheng-Mou (Superintendent of Shin Kong Wu Ho-Su Memorial Hospital), Chu Dachen (Vice Superintendent of Taipei City Hospital), Lin Shinn-Zong (Superintendent of Hualien Tzu Chi Hospital), and Chang Hung (Deputy Director General of Medical Affairs Bureau, MND).